Ron and Maggie Tear Photography: Disability. 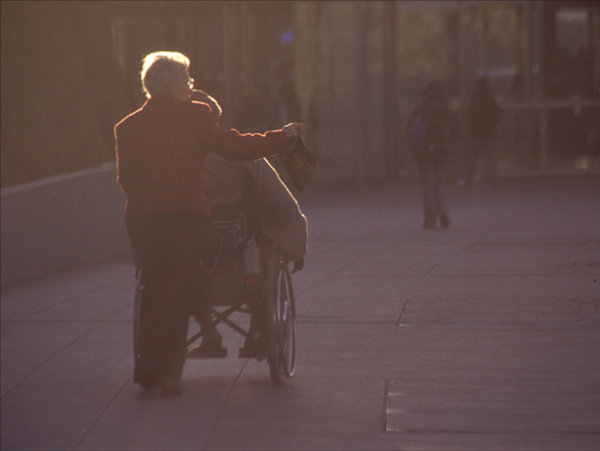 Disabled people are normally seen alone with a carer. This is my take on that world, the light illuminting their plight. For me a poignant image. The O2 arena, docklands, London, UK.